Outdoor stairs are just as insurmountable to a disabled person as a set of indoor staircases. For example, stairs leading up to the doors of an office building, stairs leading up to the door of a residential home or even a set of stairs that are used to reach a beach front can be very challenging to a non-ambulatory person. Beach front homes with direct access to the beach oftentimes include a winding set of wooden stairs that are used to access the beach. Many homes, from Malibu all the way out to Martha’s Vineyard, have beach access staircases. For a handicapped or temporarily injured person traversing such set of stairs would pose a great danger to their safety as well as a potentially serious legal liability to the home owner. In order to be inclusive and sensitive to the needs of all, the Indy PRO Outdoor Stair Lift can withstand the harshest of elements; it comes with a weather-tight cover that protects its design and functionality. This stair lift is designed to withstand harsh weather. It is durable, affordable and safe to use. This lift can be installed on either side of the staircase. The built in safety sensors will stop the lift if something is in the way of the lift operating properly. The following come standard with this lift: weather-tight component cover, weather-tight header cover and the weather-tight seat and unit cover. 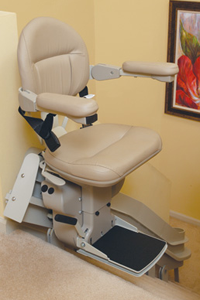 Additionally this lift comes with a seat that swivels, a discount for veterans and a five year manufacturer’s warranty. 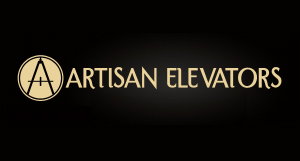 A requirement of the stair lift warranty is that professional do the installation. In most states there are laws that mandate that only a trained technician can install stair climbers. In order to ensure that stair lifts are installed properly and that they work to their maximum efficiency, a trained technician needs to install the stair lift.